"The following pictures were taken during my stay with Paul Vasconi in Sunny Florida. My thanks to Paul and his Mom for their warm hospitality. 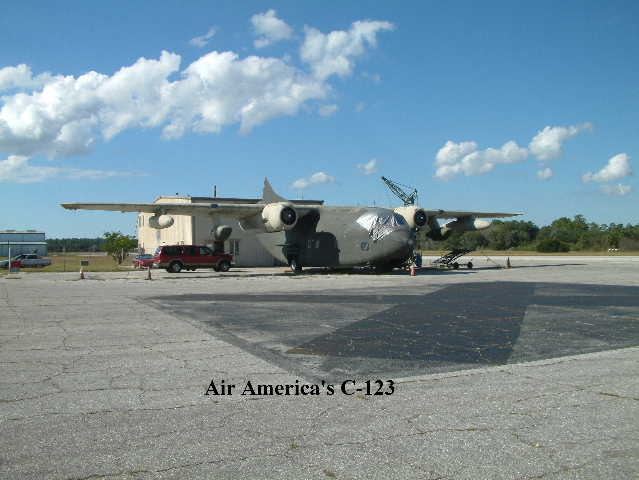 "The restoration of the C-123 is steadily progressing, helped by the donations received from Bernie's Memorial Fund. The ?1500 plus that was raised has gone towards the refurbishment of the propellers. One is already finished and the other is awaiting to be re-assembled prior to them both being returned home, hopefully in time for Christmas! 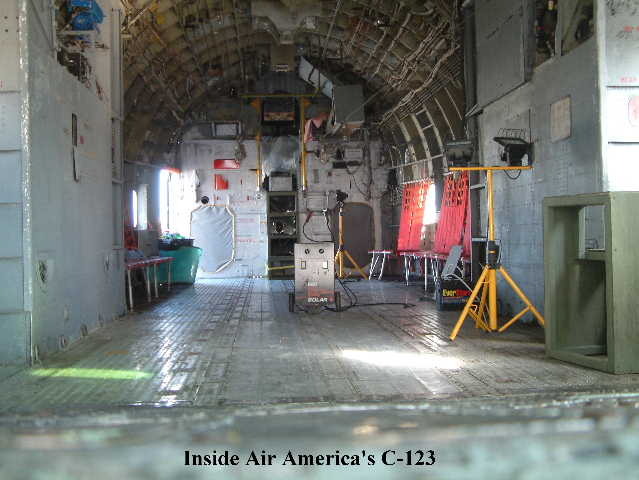 "Paul is extremely grateful for all the donations and I am sure he would be pleased to show you over the C-123 if you are in the Tico area. 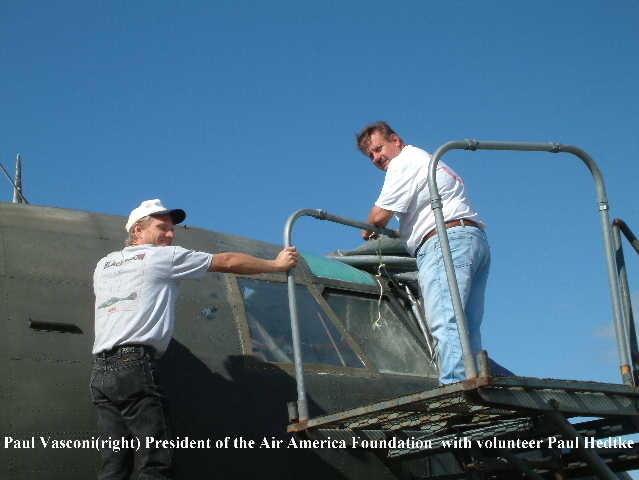 He can usually be found most Saturdays busy working on the restoration of the aircraft or repairing/painting the various bits of necessary maintenance equipment (tow trucks, buggies etc. A.K.A. "The Boys' Toys"!)"